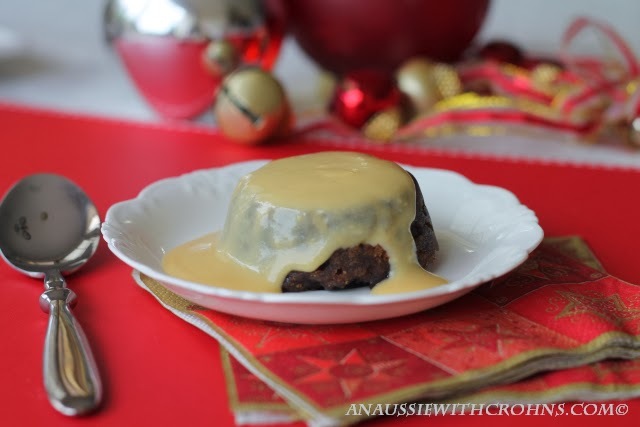 Before I had to change my diet, my signature Christmas dish was this Chocolate Plum Pudding. I've been making it for years and it's delicious. 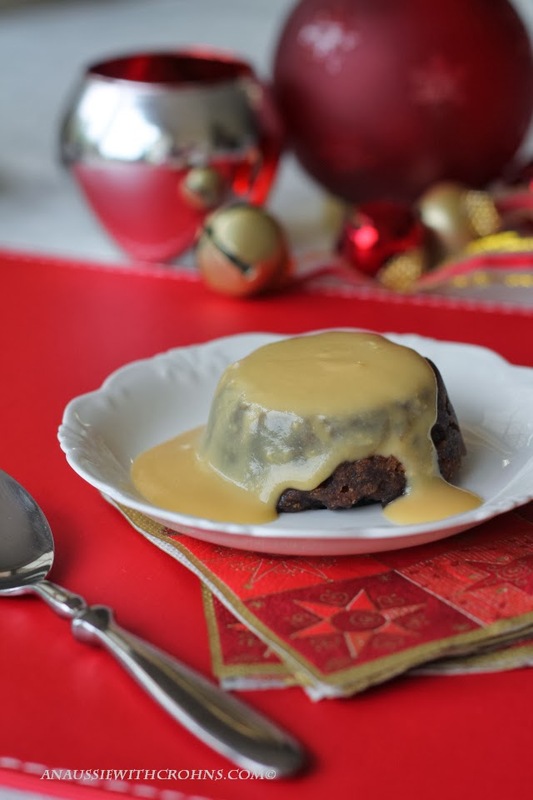 So the challenge this year was to come up with something just as scrumptious that fits into my new SCD/Paleo lifestyle. The wonderful part of the old recipe was the 200 grams of dark chocolate that was mixed through the dried fruit. So in this version I've used a lot of cacao butter to add a chocolatey richness to the fruit and spices. I think you can tell, I'm a little bit happy with this recipe. It's so wonderful that my family will be eating this for Christmas dessert this year. It truly is as good as the original. Yay! Stir in the bicarb soda and mixed spice. Melt cacao butter and coconut oil in the microwave and add it to the fruit mixture along with the honey. Mix well. Finally, sift the coconut flour and stir through the mixture. Give it a good mix. 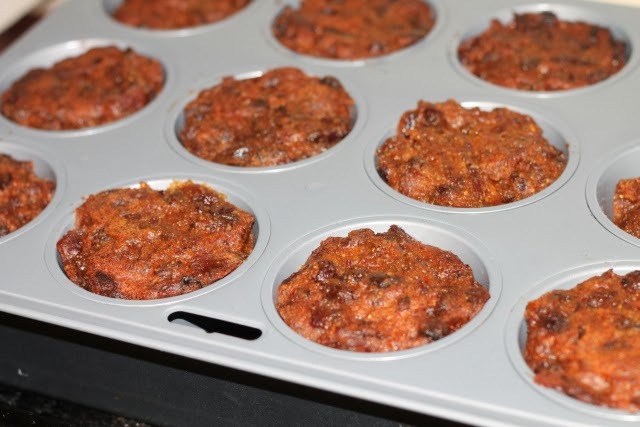 Grease a 12 hole muffin tin with coconut oil then divide mixture evenly between them. Put the muffin tray into a larger baking tray with enough hot water to come half way up the muffin pans. Cover the tray with baking paper and then foil, pressing it under the edges to seal well.Bake in a 180 degree Celsius (350F) oven for 1 hour and 10 minutes. 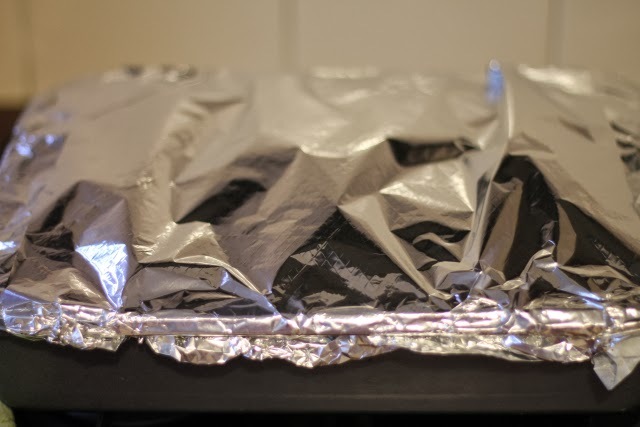 Remove the foil and baking paper and use a spatula to remove from the tin if eating immediately or cool in the pans if eating later. Thanks to Teresa Cutter for the idea on how to cook these. 1 Tablespoon whiskey or vanilla or nutmeg to taste. In a small saucepan, whisk together coconut milk and honey. Heat the saucepan of milk & honey over a medium heat until it gets quite warm but not boiling. Pour about half a cup of the hot milk into the egg yolks, whisking them as you pour. Then add the egg/milk mixture back into the saucepan, whisking briskly as you do so. Continue to whisk for 2-5 minutes until the mixture thickens. Make sure you use a low heat and whisk all the time. It's done when it thickens and coats the back of a spoon. Stir in brandy, vanilla or nutmeg if you like. 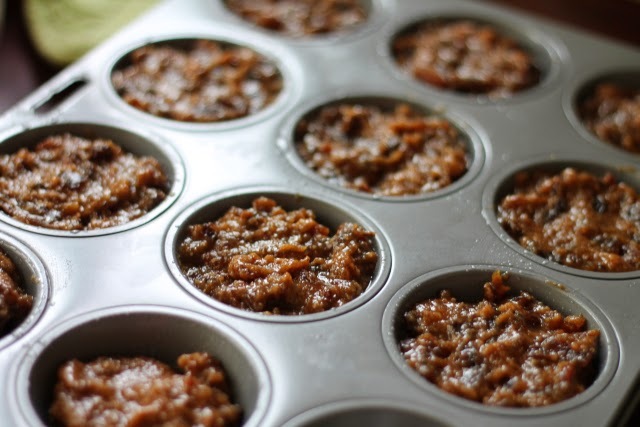 Serve immediately or cover with plastic wrap so a skin won't form on the top. Store in the fridge. NOTES: If you prefer, you could make one large pudding and boil on the stove in the traditional way. Have you seen my other Christmas treats? Vanilla Shortbread, Coconut Flour Shortbread and Fruit Mince Slice. So pleased you enjoyed them! Great idea to add the currants and cherries; I think I'll have to try that this year.